Maguire Hegarty, LLC has a proven record of providing quality, personalized financial and consulting guidance to local and international individuals and businesses. Maguire Hegarty, LLC's expertise includes basic tax management and compliance and a complete range of accounting services. These services include audits, asset based lending services and customized consultancy for local and international businesses such as due diligence, outsourced management, business valuations and access to financial assistance from governmental agencies. Maguire Hegarty, LLC by combining our expertise, experience and the team mentality of our staff, assures that every client receives the close analysis and attention they deserve. Our dedication to high standards, hiring of proven professionals, and our work ethic is a major reason for our satisfied client base. Our mission is to help our clients maintain financial viability in the present, while taking a proactive approach to achieve future goals. This requires open communication to reach an understanding of our clients' needs through research and sound analysis. Maguire Hegarty, LLC is dedicated to meeting these goals with high standards of excellence and professionalism. Our partners have been active in the Philadelphia business community for over twenty five years, and pride themselves on the level of confidence their clients demonstrated in us. Paul has over thirty years’ experience in providing consulting, taxation, and accounting services to U.S. and international clients. Having previously worked with Deloitte, he started his own accounting and consulting firm in 1987, now Maguire Hegarty LLC. In addition to offering accounting and tax services the firm has assisted clients in obtaining both private and public funding, creating innovative financing opportunities for them including in-house leasing programs, and debt restructurings. Paul’s experience has also included, bank debt negotiations, corporate workouts, due diligence in mergers and acquisitions, corporate divestitures and the provision of outsourced chief financial officer services. His industry experience includes real estate development, construction, capital equipment, fitness clubs, retail vending, restaurants, and the life sciences. He has represented many international clients ranging from Europe to Australia, engaged in such arenas as life science, software development, heavy equipment, real estate investment, and marketing. Services have included the provision of USA based chief financial officer services, handling international taxation matters including tax return preparation, nexus analyses, and transfer pricing policies. Paul works with several nonprofit boards, and is the Chairman of the Friends of the Missionary Sisters of the Holy Rosary, www.kuns.org, and the Philadelphia Trinity College Dublin Alumni Association. Currently he serves on the North American Advisory Board for Trinity College. 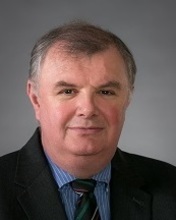 He received a BS in Business Studies from the University of Dublin, Trinity College, in 1980, with a MA in English Literature in 1985, and qualified as a Certified Public Accountant in 1982. Liam has many years of experience providing accounting and consulting services to both public and private middle market clients. He began his career in the Philadelphia office of a large international accounting firm. 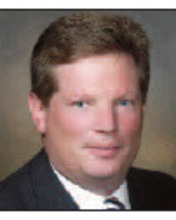 He later became a Partner with a regional accounting firm before joining Maguire Hegarty LLC. Liam has extensive experience in providing services to commercial clients including manufacturing, distribution, venture funds, real estate and employee benefit plan industries. Liam earned his Bachelor of Science degree in Accounting from St. Joseph’s University. Liam is active in several professional organizations, including the American Institute of Certified Public Accountants, the Pennsylvania Institute of Certified Public Accountants and the Financial Executives International. His commitment to the local community involves being chairman of the Irish Immigration Center, treasurer for the Irish American Business Chamber and Network and vice chairman of the board for the Anti-Violence Partnership. He enjoys coaching his sons’ soccer teams and is Chairman of the Philadelphia Youth Gaelic Football Association.